Go Orange Day on Wednesday, April 10! 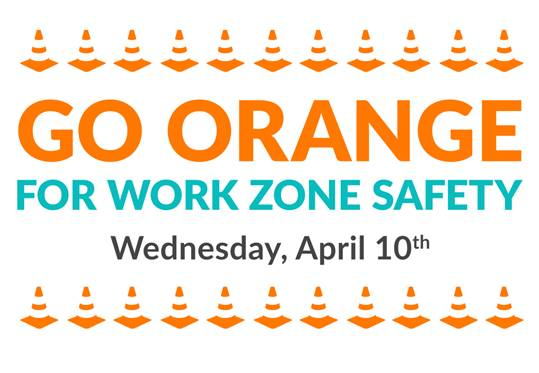 As part of National Work Zone Awareness Week (April 8-12), FDOT encourages everyone to wear orange for Go Orange Day on Wednesday, April 10, as a visual reminder to others of work zones. Feel free to post your photos on social media using the hashtags #GoOrangeDay and #WorkZoneSafety to further spread awareness of work zone safety. While fun, participation in Go Orange Day and National Work Zone Awareness Week goes a long way in getting much-needed attention on work zone safety.